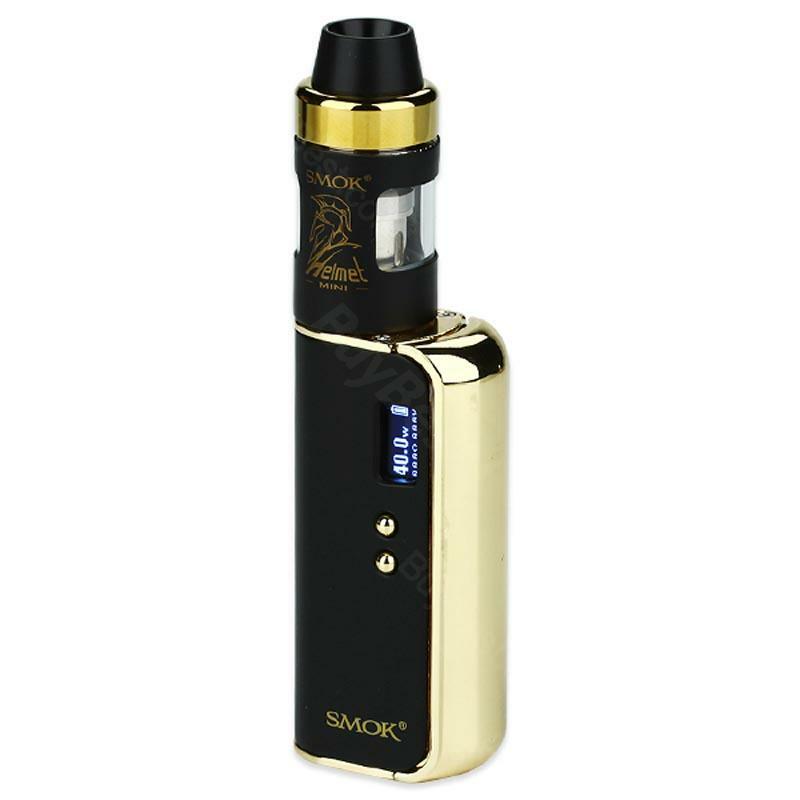 The pocket size SMOK OSUB TC Starter Kit has built-in battery 1350mAh and 40W output with TC mode. Matching 22mm Helmet Mini tank 2ml make the device more comfortable to use. The pocket-size SMOK OSUB TC Starter Kit has built-in battery 1350mAh and 40W output with TC mode. Its U-shaped magnetic side cover design allows you to clearly see the fireside connector and remove the magnetic side cover after the Micro-USB charging port. The OSUB TC is longer and bigger, and its mini button is very convenient. Matching 22mm Helmet Mini tank 2ml make the device more comfortable to use. It is a TC and VW device. Best for e-cig starters. Various colors for your choice. • E-juice filling: Screw off the drip tip and top cap and then fill e-juice through the central slot. • Replace atomizer core: Screw the drip tip and top cap off the tank; screw the atomizer core off the top part, and replace with a new one. • Air input control: Rotate the top adjustable airflow system. • Power on/off: Click the power button 5 times quickly in 2 seconds to power on. While the device is locked, hold the power button for 5 seconds. • Choose coil: Under the TC mode, when you connect a new atomizer, the screen will prompt "IS NEW COIL?Y/N", please press - button. If you just disconnect and reconnect your existing atomizer, press + button for a new one. • When the mod unlocked: Press the Power button and - button simultaneously to switch between "WATT MODE" and "TEMP MODE"; Press the Power button and + button simultaneously to switch between "HARD" "NORM" and "SOFT" draw effects; Press the + button and - button simultaneously to switch between "LOCK" and "UNLOCK". • It can compatibility with SMOK Helmet Clapton Coil. OSUB 40 is great product. I'm using it for a week and it is easy to use, really handy and so elegant. Mini device that can fit in your hand perfectly. Helmet tank gives great taste, there are no leaking problems and airflow is hidden but easy to use.